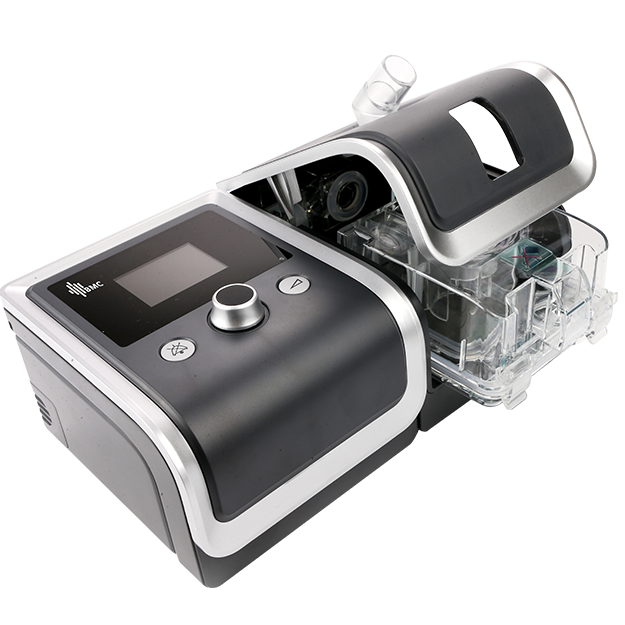 An intelligent technology, featured in theRESmart GII Y/U series, it delivers automatic solution for patients with OSA and/or respiratory insufficiency. Aligned with same platform as RESmart GII BPAP System, Y/U series adapt pressure automatically to patient needs and provide a better synchronization. Pressure support automatically adjusts according to target volume as to improve hypoventilation. Real time monitoring includes pressure, flow, minute ventilation(MV), tidal volume, oxygensaturation*(SpO 2 ) and pulse*. Advanced leakage compensation promises adequate volume support. Ti Control, I/E Sense and Rise time guarantee betterventilation synchronization.